← RECOMMENDED: The Crusher, 2011 Rosé of Pinot Noir, Merwin Vineyard, Clarksburg (Napa). 13.6% ABV. $10.99. 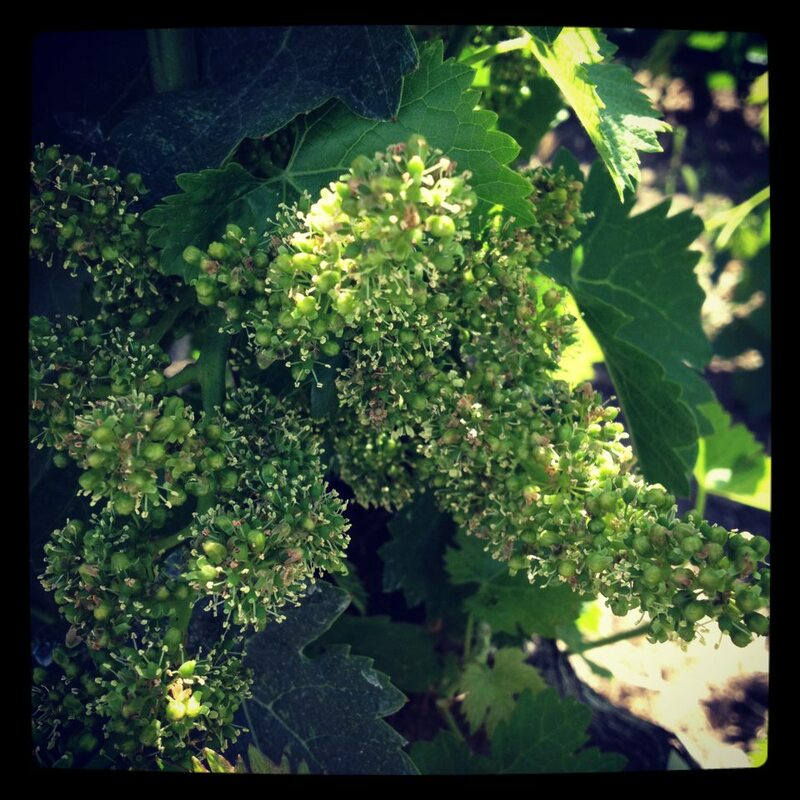 Bloom has begun in the malbec and cabernet franc. The cluster pictured is just beginning to flower. Those are not tiny grape berries, they have not flowered yet. They look like miniature bell peppers, having calytrae or “caps” to protect the flowering parts. When the vineyard is in full bloom, it smells like a perfumed garden.